From bank robberies to Mexican standoffs, these scenes kept us locked and loaded to the big screen. 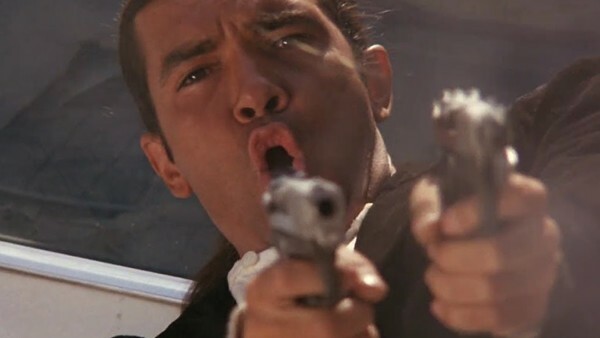 Movies have long been packed with action and violence, but filming an intense shootout scene is no easy task for filmmakers. Not only do they have to direct actors to do exactly what is needed at the right time, they also require pyrotechnics, the right kind of firepower, and a crew of safety experts on hand. It may be difficult and costly, but when it's done well, a movie shootout can make or break a film. These scenes don't necessarily need to involve hundreds of people either; often, a movie shootout between one or two people can be the best in the genre, but there are certainly some that are better than others. Movie shootouts that are intense enough to make it onto a list like this need to feature a ramping up of action to an inevitable conclusion. It needs to be memorable and, above all else, it has to be necessary to the plot. Kill counts are a big part of what makes a shootout good, but that isn't everything. The characters need to be interesting and the audience needs to care about what happens to them. Only then can a movie shootout be both intense and memorable enough to become noteworthy.